Families of critically ill Patients in Intensive Care are taking personal responsibility for the outcomes they want for their critically ill loved one! By the way, you can read/watch all the three previous episodes of this blog post series here. I have hinted towards that in some of my previous points in this 4 part blog post series. I know I keep repeating myself here and I’ll say it again. Never have many people steering the ship. Only have one captain. That doesn’t mean that other people shouldn’t give input into the situation. But it usually changes the dynamics in your favour if you and your Family speak with one voice and have one spokesperson. To give you an example again, I have seen many situations in Intensive Care, where the Family dynamics have been difficult and challenging and made situations very difficult and extremely challenging. Especially if there are differing and competing views within a Family about how the situation with your critically ill loved one in Intensive Care should be handled. Competing interests within a Family could mean that your critically ill loved one has a ‘de-factor’ partner and they are living together and they are not married. Your critically ill loved one also has children from a previous marriage/relationship. Both, the current de-factor partner and the children are claiming to be Next of Kin(NOK) and/or medical power of attorney(MPOA) and they both want the decision making authority. Your critically ill loved one’s de-factor partner claims that they have been living together for five years and therefore they want to be NOK/MPOA. The children claim that the de-facto partner doesn’t know your critically ill loved one as well as they do and they also argue that the de-facto partner wouldn’t act in the best interest of your critically ill loved one. Just by giving you this example, you can see how easily such an already difficult situation can get even more difficult. It doesn’t serve anyone. And most importantly it doesn’t serve your critically ill loved one in Intensive Care. It makes it very hard for the doctors and the nurses too, because they don’t know where they stand either. If for example your critically ill loved one needs a procedure or surgery like a tracheostomy, that he or she is very likely unable to give consent to, your Family would need to sign the documentation for consent. Consent is usually signed by the Patients NOK/MPOA if the Patient is unable to do so, which is the case most of the time in Intensive Care. If the Family is still fighting for kinship/MPOA, it can delay procedures and result in significant delays and also recovery time. This is only one example out of many I could give you, so that you understand why it’s so important that you come clear who the spokesperson and also NOK/MPOA for your critically ill loved one is or is going to be. Once you and your Family have made that decision, you must not change it and you should stick with it, period. The other advantage of having one spokesperson and one NOK/MPOA is that there are many situations in Intensive Care where people make phone enquiries about a particular Patient and they claim to be a relative of the Patient. Now, of course on the phone it would be very hard to determine whether it is a relative ringing or not. If the Intensive Care team is unsure about the identity of the caller, they can just say that they should ring the Patient’s NOK in order to get information about the Patient. The reality is that if the caller is really a family member, they will know what is happening and they will know who the NOK/MPOA is and they will then get in touch with them. Families of critically ill Patients in Intensive Care, do not take “No” for an answer! Never, ever take “no” for an answer. Families of critically ill Patients in Intensive Care are telling me that the Intensive Care team is telling them the only option for their critically ill loved one is to stop or withdraw treatment because they have no choice of survival and it’s “in their best interest” to do so. WTF??? Another common scenario is that families in Intensive Care are asking for the medical records of their loved one in intensive care because they have lost trust and faith in the Intensive care team and they are looking for answers and the hospital is telling those families they can’t have the medical records… WTF??? What do all of those situations have in common and what’s the answer to those challenges? First off, you can get everything you want and need for your critically ill loved one in any of the above situations if you know what to do! If you are intimidated by the Intensive Care team like 99% of the families of critically ill Patients in Intensive Care are, you won’t get what you want, because you do take “no” for an answer! So how can you get what you want in those difficult situations that I shared above and how can you make informed decisions, get peace of mind, control, power and influence? Do not and never take “no” for an answer! If you do take “no” for an answer you have a big problem and you need to change your thinking, your mindset and your expectations very quickly! For example if the Intensive Care team is telling you that the only “option” for your critically ill loved one is to “withdraw” or “stop” treatment because it’s “in the best interest” of your critically ill loved one, your alarm bells need to go off! Why would the Intensive Care team do the unthinkable??? After all you are dealing with a life or death situation! 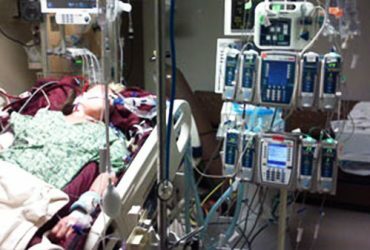 If you are like 99% of the families of critically ill Patients in Intensive Care who make no informed decisions, who have no peace of mind, no control, no power and no influence you will take “no” for an answer and you basically become a silent witness of the Intensive Care team potentially killing your critically ill loved one without you taking a stand! Remember, this is life or death! Whenever the Intensive Care team says “it’s in the best interest” of your critically ill loved one, it probably means it’s “in the best interest” of them! I’m glad you’ve asked. 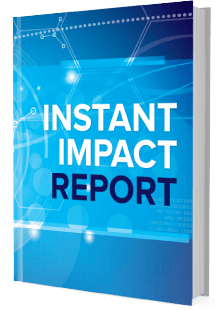 The reality and the fact of the matter is that Intensive Care teams interests are going way beyond your critically ill loved one’s diagnosis, prognosis, care and treatment. I know it because I have seen it all in nearly 20 years Intensive Care nursing experience in three different countries, where I literally worked with thousands of critically ill Patients and their families! I have also worked as a Nurse Unit Manager for over five years before starting my own 1:1 practice, consultancy and advocacy for families in Intensive Care where I speak to and consult families in Intensive Care 7 days a week all over the world! The issues are the same all over the world, the minute you and your family take “no” for an answer, the Intensive Care team will walk all over you! Don’t copy the behaviour of the 99% of the families of critically ill Patients in Intensive Care who don’t make informed decisions, who don’t get peace of mind, don’t get control, power and influence! Get yourself in the right mindset and get yourself mentally strong and prepared so you can make informed decisions, get peace of mind, control, power and influence! Therefore, don’t take “no” for an answer especially not in a “life or death” situation. The same applies when it comes to trying to “force” you and your family to agree to a tracheostomy and then sending your loved one to long-term acute care (LTAC)! 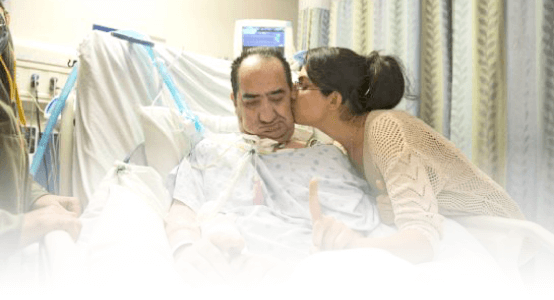 You need to ask better questions in order to make sure your loved one isn’t going to have a tracheostomy to begin with. If your loved one gets sent to LTAC, they are doomed, LTAC’s have generally speaking very low care standards and they are usually not qualified to look after tracheostomies and ventilation. We hear shocking stories from LTAC. 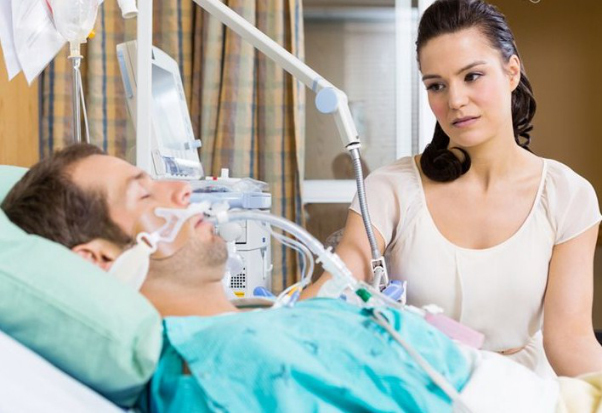 Whenever there is talk about a tracheostomy for your loved one, you need to make sure they have maximized all chances to get your loved one off the ventilator and the breathing tube/endotracheal tube. 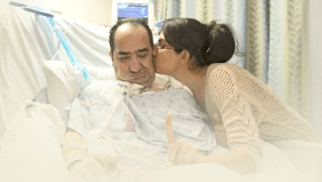 As long as the Intensive Care team hasn’t maximized the chances and efforts to get your loved one off the ventilator, there shouldn’t be any talk about a tracheostomy and LTAC. Only ask for, demand and expect the very best and get yourself informed, period! If for whatever reason, the Intensive Care unit won’t release the medical records for your critically ill loved one, you should immediately get suspicious that they have something to hide. As a matter of fact, you have the right to get access to the medical records at any given time due to freedom of information. So whatever BS excuse the hospital or Intensive Care unit is making for not releasing the medical records is probably just delay tactics. Therefore, do not take “no” for an answer and ask for the medical records with a deadline and you will get them as long as you don’t take “no” for an answer. If you do take “no” for an answer, chances are that you belong to the 99% of families of critically ill Patients in Intensive Care who don’t make informed decisions, who don’t get peace of mind, who don’t have control, power or influence! Given that you are here, I trust that you move out of the 99% circle into the 1% bracket very quickly! Families of critically ill Patients in Intensive Care have high expectations of themselves and of the Intensive Care team! 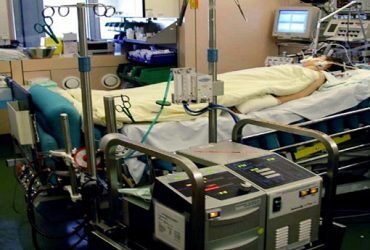 Again- even though I might sound like a broken record- 99% of families of critically ill Patients in Intensive Care who don’t make informed decisions, who don’t get peace of mind, who don’t have control, power or influence also don’t have high expectations of themselves and the Intensive Care team! The 1% of families of critically ill Patients in Intensive Care who make informed decisions, who have peace of mind, control, power and influence “get it”! They have high expectations of themselves and their ability to manage and influence the Intensive Care team so that their critically ill loved one will get the best possible care and treatment without fail! The 1% of families in Intensive Care who make informed decisions, get peace of mind, control, power and influence. The reality is that feeling sorry for yourself is not going to cut it! I know it’s easier said than done. But often, rolling up your sleeves and doing what needs to be done is the only thing that helps! Do your own research, start managing the Intensive Care team so they won’t manage you is what needs to be done! Show to them that you have high expectations of them and yourself! And most of all, hire a professional consultant like myself here at INTENSIVECAREHOTLINE.COM who can help you make informed decisions, get peace of mind, control, power and influence! Also check out our Ebook section where you get more Ebooks, Videos and Audio recordings and where you can also get 1:1 consulting and advocacy with me via Skype or over the phone and via email by clicking on the email and phone counselling tabs on the top of the website! 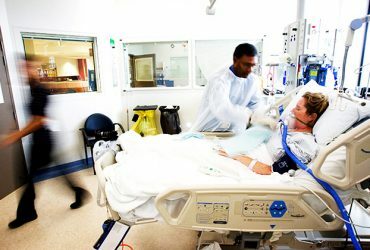 The 5 WAYS HOW TO OVERCOME THE MOST CHALLENGING SITUATIONS IN INTENSIVE CARE, if your loved one is critically ill in Intensive Care! The difference between “real” and “perceived” futile medical treatment! Quick tip for families in ICU: You are 100% in control of how you respond to the challenges! When an Intensive Care Unit is failing one of their families! 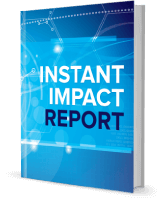 A real life case study! RIP Alfie Evans! What families in Intensive Care can learn from the Alfie Evans case!